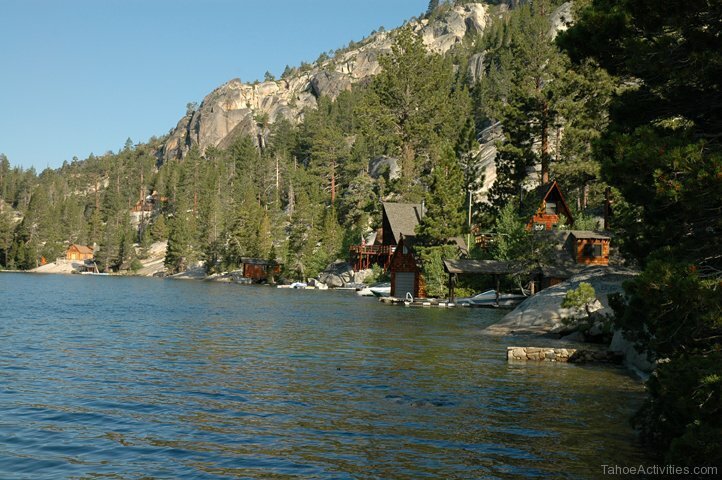 If you are in search of a truly peaceful escape, Echo Lakes is the perfect choice. It is an area known for its seclusion, serene mountain setting, and stunning natural scenery with granite rocks and tall mountains surrounding each lake. 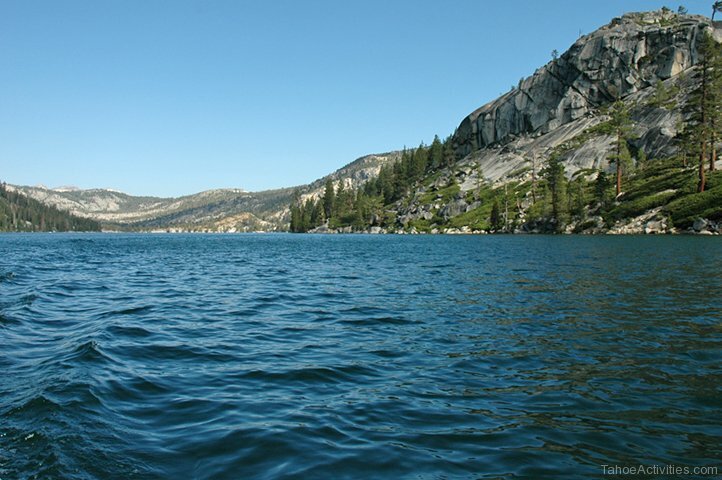 The Upper and Lower Echo Lakes are great places for boating, fishing, and enjoying a picnic lunch. 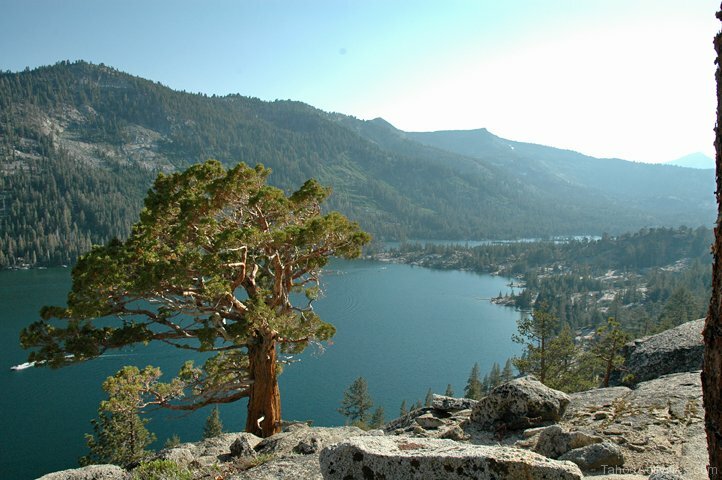 Visitors also enjoy hiking the trails around the lake or heading off for bigger overnight adventures in Desolation Wilderness. Favorite wintertime activities include cross-country skiing, dog sledding, and playing in the snow. The Echo Lakes are located on the north side of Highway 50 at Echo Lake Road. which is just minutes from Lake Tahoe’s south shore. Hiking in Echo Lakes is simply amazing with gorgeous views, beautiful rock formations, and mini waterfalls discovered along the way. There is one main trailhead that leads to multiple hiking destinations, where there is a trail for every ability with the lengths ranging from about 2 miles to 9 miles (one way). The longest trails start at Upper Echo Lake. 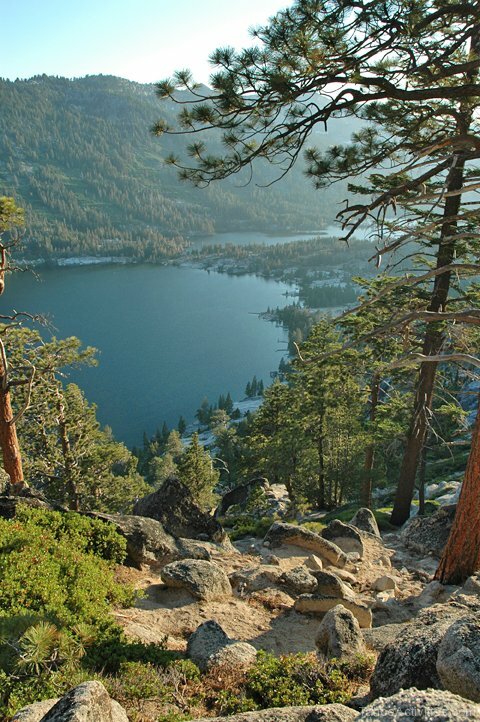 Be sure to check out the wonderful trail on the east side of the lake where you can hike from Echo Chalet on Lower Echo Lake around to Upper Echo Lake. This trail is fairly flat and is about 3 miles long. 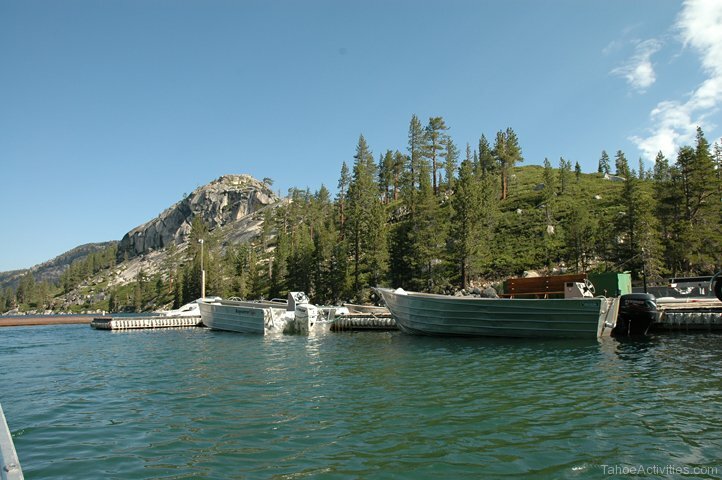 In the summer there is a shuttle boat service that can take you over to the Desolation Wilderness trailhead located at the far end of Upper Echo Lake. 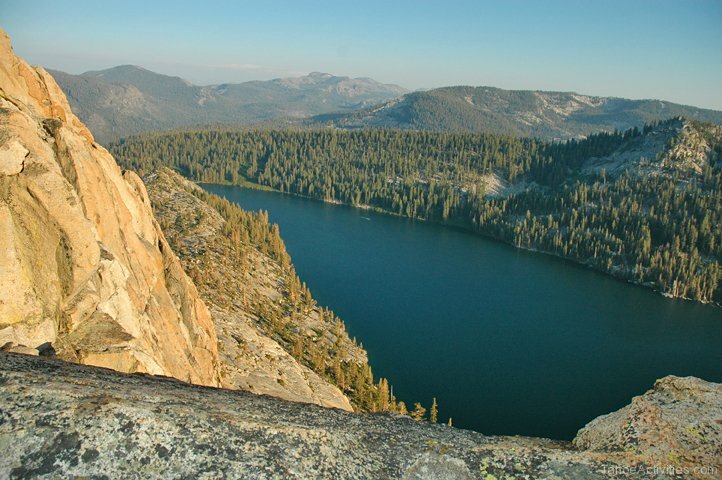 This gives you a nice jump start to your trek into Desolation Wilderness where you can camp overnight and check out the higher-altitude lakes. 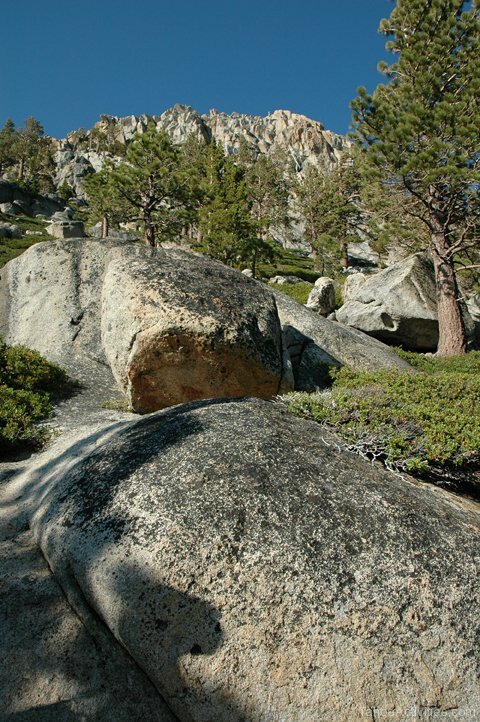 The Desolation Wilderness area is 60,000 acres of unspoiled wilderness. Explore more than 50 lakes and streams, traverse around huge masses of granite, wind your way through forests of juniper, pine, red fir and hemlock, and stumble upon serene meadows full of wildflowers. 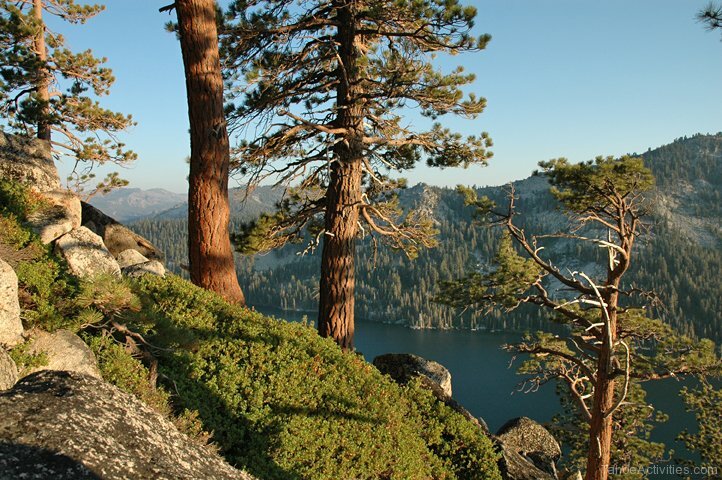 The Pacific Crest Trail also borders the Echo Lakes on its way from Mexico to Canada. The best time to visit Echo Lakes is during the late summer, especially if you want to take a refreshing swim in one of the lakes. Just across from the Lodge is a meadow with picnic tables and barbecues – the perfect place to relax on a lazy summer day. Boating and waterskiing are other favorite pastimes. 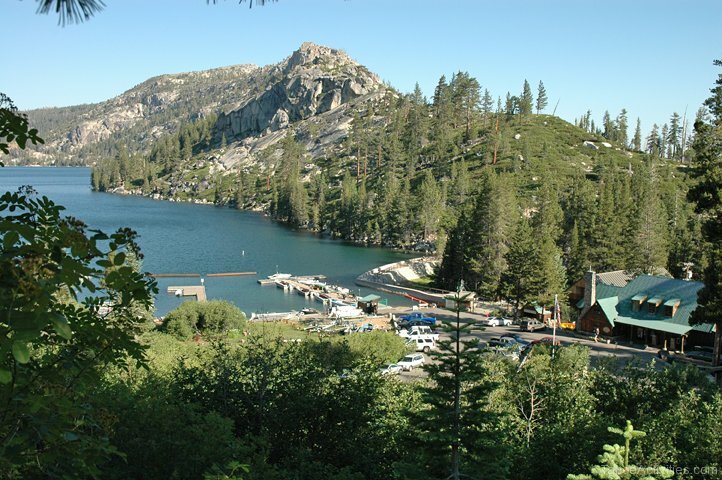 The dam off of Lower Echo Lake is a favorite fishing hole, where you can sit on the dam and try your luck at getting the biggest catch of the season. The shoreline anywhere around both lakes also offer great places to fish for fingerling rainbow and cutthroat trout. Echo Chalet is a rustic resort complete with cabin rentals, a store, and a marina area. 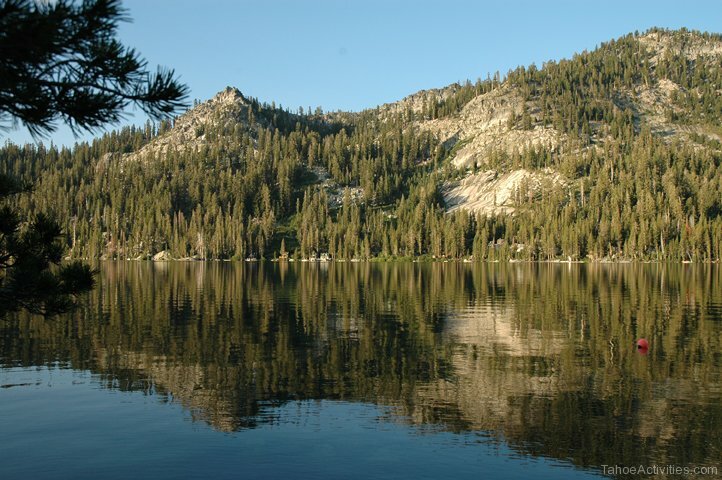 Reserve a little piece of paradise on Lower Echo Lake in this high Sierra resort, found just ten miles from South Lake Tahoe. The 8 rental cabins, lovingly dubbed “Chaletlees,” have rustic knotty pine interiors and are usually available starting in mid-June (weather depending). Each unit has electricity, but there are no TVs, phones, radios, microwaves or maid service. Rest assured, there is hot and cold running water, and full bathrooms in each unit, and most units have a kitchenette. The cabins have gorgeous lake and mountain views and are set up as double units with a shared front deck. Echo Chalet’s main lodge features a grocery store, Deli, and Soda Fountain. Pick-up basic food stuffs, sporting goods equipment, and hardware supplies. Stop for a sandwich, coffee, delicious milkshake made with real ice cream or other sweet treat at the Deli and Soda Fountain. 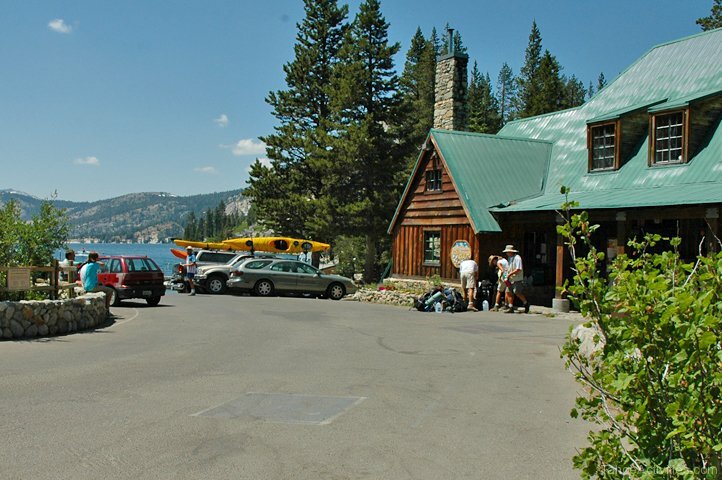 Echo Chalet Marina is the home base of the lake’s summertime water taxi service, which can take you to your cabin or to the trail head access point. You can also rent canoes and kayaks, plus take advantage of the marine services and petroleum products. 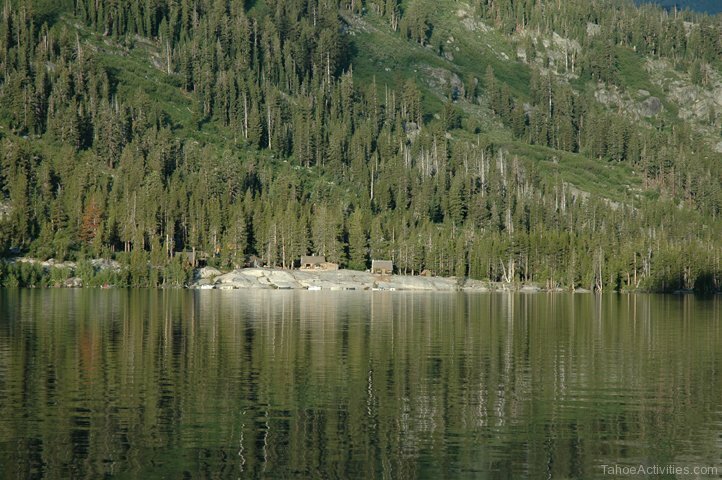 Echo Lakes have over 100 summer residences that are all located on U.S. Forest Service land or private land. Most of the cabins are owned by families who have been passing them down for generations. The rustic cabins are charming mountain retreats found in a truly magical setting. The wood and supplies to build these cabins had to be shuttled in by boat and almost all of them are built right on the lake. The cabin owners tend to hold tight to their inheritance, so it is rare to find one for sale. 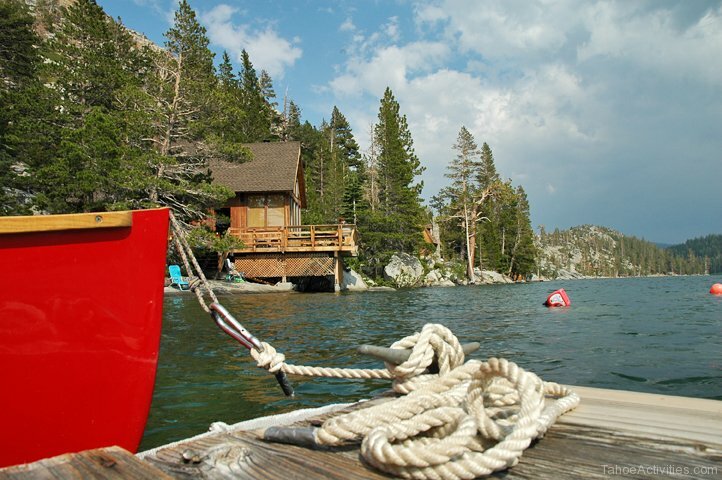 But, if you ever get the chance, a mountain cabin at Echo Lakes is the perfect summer retreat. Upper and Lower Echo Lakes were formed by glaciers hundreds of years ago. A narrow channel of water connects the lakes to each other and is only passable by boat early in the summer season when the water is high. The lakes freeze over during the winter months. Echo Summit, which towers above the lakes, was a major distribution route for delivering mail on skis from 1856 – 1876. Later it become part of the Lincoln Highway, which was built in the 1913 and spanned the entire United States from New York to San Francisco. Echo Summit was also a major training venue of the 1968 Olympic Summer Games. Down at Echo Lakes, the Chalet Resort was originally established in 1939 and has been owned and managed by Tom and Kathleen Fashinell since 1984. The Chaletlees were built in 1947 on the mountainside above Echo Lake, and require a short hike to get to. 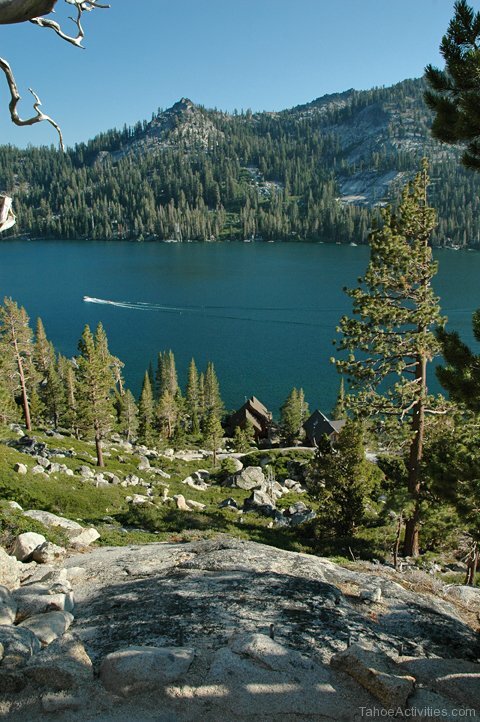 Echo Lakes are a one-of-a-kind destination where you can breathe the fresh mountain air and truly clear your mind. It is a quiet little place, where nature is a part of every moment. Come for the day, stay for a week, or settle down for a quiet and peaceful summer. Echo Lakes is a unique destination where anyone can come to get away from it all!